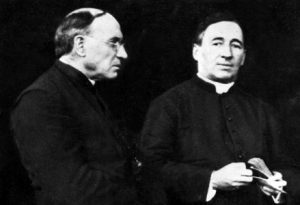 Father James Walsh and Father Thomas Price first met in 1910, at the 21st Eucharistic Conference held in Montreal, Canada. In one of their encounters, Father Walsh shared his vision of U.S. Catholic mission with Father Price. Realizing they shared a common call to mission, the urbane Father Walsh and the more rural Father Price collaborated on plans for a mission society within the U.S. Catholic Church. Soon after, the bishops of the United States formally sanctioned the pursuit of their vision to recruit, send and support U.S. missioners around the world. With this approval, Father Walsh and Father Price traveled to Rome to present their vision of mission. They received the blessing of Pope Pius X on June 29, 1911 (the feast of Saints Peter and Paul), which is the founding day of the Catholic Foreign Mission Society of America. 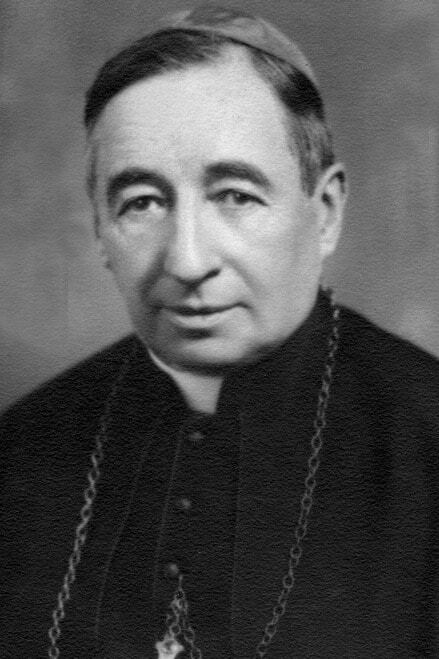 During their travels to Rome, Father Price decided to visit Lourdes, France and learn about the apparitions of Mother Mary to Bernadette Soubirous. He then realized a completely new sense of mission and from this time forward, he devoted himself to the Blessed Mother. With this new inspiration, he then re-named Sunset Hill as Mary’s Knoll. Thus, the beginnings of the new society more popularly known as Maryknoll. From the beginning, “the Ladies of Maryknoll” as they were sometimes called, were an important and integral part of the first Maryknoll mission efforts. They began working as secretaries on the publication of a magazine called “The Field Afar,” which had as its goal to nurture and spread mission awareness among U.S. Catholics. Miss Mollie Rogers, a 1905 graduate of Smith College, rapidly emerged as the natural leader among these young, committed women. She envisioned women as being missioners in their own right and not merely serving in supportive roles to the men. On February 14, 1920 the Maryknoll Sisters were officially recognized as a religious community with Mother Mary Joseph (Mollie Rogers) as their founding superior. Father James Anthony Walsh, M.M. Thomas Frederick Price was born on August 19, 1860, in Wilmington, North Carolina. He was the eighth child of Alfred and Clarissa Bond Price. His parents were converts to the Catholic faith, and he was raised as a devout Catholic in the midst of Southern antipathy toward Catholicism. As a youth, Price had close contact with the priests of his parish (St. Thomas, Wilmington, North Carolina). One priest who figured prominently in his early life was Bishop James Gibbons, newly appointed first Vicar Apostolic of North Carolina. Gibbons established his headquarters at St. Thomas Church and soon began to show a special interest in young Price. Price often served Mass for Gibbons and accompanied him on special trips throughout the Vicariate. With his religious background (especially the deep devotion of his mother to the Blessed Virgin), Price soon felt an attraction to the priesthood. He confided his interest to the parish priest, Fr. Mark Gross, and arrangements were made for him to enter St. Charles Seminary at Catonsville, Maryland, in August, 1876. On route to the seminary by ship, Price escaped death in the shipwreck of the Rebecca Clyde. Price attributed his survival to the intercession of the Blessed Virgin Mary. After the accident, he returned home until January 1877. Father Thomas Frederick Price, M.M. Price attended St. Charles’ Seminary from January 1877, until his commencement on June 28, 1881. On September 1881, he entered St. Mary’s Seminary, Baltimore. He was ordained to the priesthood on June 20, 1886, by Bishop Northrup at the pro-cathedral in Wilmington, North Carolina (Both of Price’s parents had died prior to his ordination.) Price was the first North Carolinian to be ordained to the priesthood, and he was assigned to missionary work in the eastern section of his native state. Within one year after his ordination, Price was appointed the pastor of the few Catholics in and around the towns of Asheville and Bern. After the first few years of priesthood, he obtained permission from Bishop Haid, his ordinary, to begin a statewide evangelization program. His methods were influenced by Fr. Eliott, a famous Paulist preacher. One of Price’s tools for evangelization was the publication of the magazine Truth, which he began to publish and edit in April 1897. A second tool was the establishment of Nazareth Orphanage in 1898. Price’s plan was to first help the underprivileged of an area and thereby win the favor of the general population who would then be more inclined to listen to the message of the missionary. Following the success of the Nazareth Orphanage, Price organized summer catechizing teams of seminarians. Finally, in 1902, Price opened his missionary training house at Nazareth. It was a preparatory seminary whose sole purpose was the education and formation of missionaries for the home missions. It was called Regina Apostolorum. 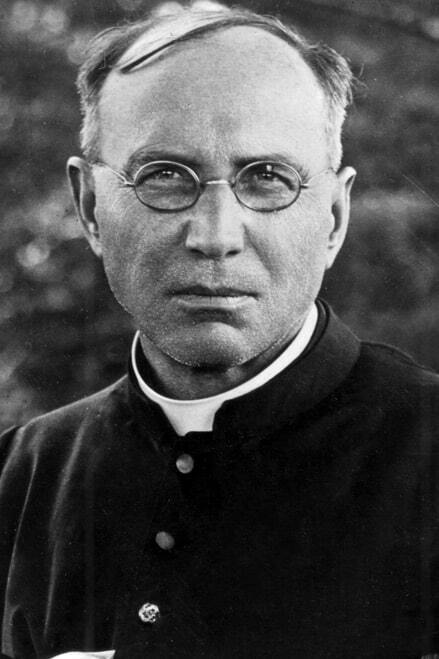 From 1902 to 1909, Price directed the Regina Apostolorum and acted as its primary teacher and spiritual director. As time went on, Price began to emphasize more and more often in the pages of Truth the need of a seminary for the training of young American men for the foreign missions. At the same time, Rev. James Anthony Walsh, of Boston, was developing the same idea in the pages of The Field Afar. 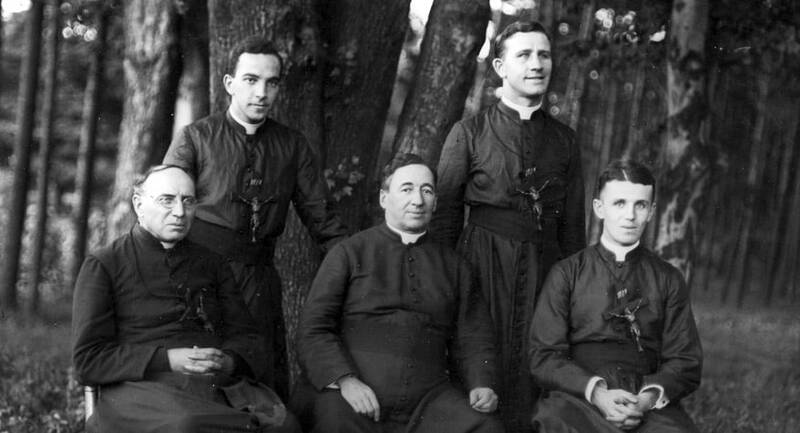 At the Eucharistic Congress in Montreal in 1910, the two priests met and began to formulate plans for the establishment of a seminary for foreign missionaries. With the approval of the American hierarchy, the two priests traveled to Rome in June 1911, to receive final approval from Pope Pius X for their project. After meeting with the Holy Father, Price traveled to Lourdes for the first time. During his stay at Lourdes, Price had a spiritual experience that was to significantly affect all of his future life. Price refers to the experience in his personal diary. A special devotion to Our Lady of Lourdes and Bernadette Soubirous would follow him all the way to his death. Returning to the United States, Price, together with Walsh, began the plans for the establishment of the new seminary and the foreign mission society. After a brief stay at Hawthorne, New York, property was purchased at Ossining, New York, for the site of the new society: the American Catholic Foreign Mission Society (popularly known as Maryknoll). Price made an around-the-country tour of America to gain support for the new endeavor. By 1918, three young priests (Frs. James E. Walsh, Francis X. Ford, and Bernard F. Meyer) were ready for the foreign missions in China. On September 7, Price went with them as superior to the new missions. From the time of the foundation of Maryknoll, Price had understood that Walsh was the one capable of administering and directing the seminary itself. Price himself had always hoped to be chosen as one of Maryknoll’s first missioners, and his dream was realized. Because of his age, Price had great difficulty learning the Chinese language. He also suffered from physical ailments. On September 12, 1919, he died in Hong Kong as a result of a burst appendix. In 1936, his body was exhumed and transferred to the cemetery at Maryknoll, New York. In 1955, his remains, together with those of Bishop James A. Walsh, were finally interred in the crypt below the Maryknoll Seminary Chapel. Price was the editor of two books regarding St. Bernadette of Lourdes: Bernadette of Lourdes (1914) and The Lily of Mary (1918). Mary Josephine Rogers was born in Roxbury, Massachusetts, on October 27, 1882, to Abraham T. Rogers and Mary Josephine Plummer, both of Boston. Mollie was the fourth child and first daughter in a family of eight: five boys and three girls. Mary Josephine attended public schools in Boston, then Smith College in Northampton, Massachusetts, where she specialized in zoology, graduating in 1905. She also spent a year at Boston Normal School in a special program for college graduates that earned her a teaching certificate. After two years at Smith College, where she was an assistant in the biology department, she taught in Boston’s public schools, at both the elementary and high school levels. Mother Mary Joseph Rogers, M.M. At the suggestion of Elizabeth Hanscom, a faculty member, and with the encouragement of the Rev. James A. Walsh, director of the Society for the Propagation of the Faith in Boston, Mary Josephine organized a Mission Study Club for the college’s Catholic students in 1906. From 1908, when she returned to Boston until 1912, she devoted her spare time to assisting Father Walsh in the work of mission education–editing, translating and writing for The Field Afar, a mission magazine begun by Father Walsh in 1907 and now called Maryknoll. In 1911, Father Walsh and Father Thomas Frederick Price, a seasoned home missioner in North Carolina, were commissioned by the Bishops of the United States to begin a seminary to train American young men for mission service abroad. Late that year, they went to New York to make their foundation, the Catholic Foreign Mission Society of America, more commonly known as the Maryknoll Fathers and Brothers. Mary Josephine was not able to go with the first small group of three women who offered their services to the young organization. But in September 1912, when the family obligations that prevented Mary Josephine from leaving Boston had been satisfied, she joined them in their temporary home in Hawthorne, New York. Mary Josephine was chosen by Father Walsh and the “secretaries,” as they were called, to direct the group under Father Walsh’s guidance. She continued in that capacity until 1920, when the group, then numbering 35, was recognized as a diocesan religious congregation–the Foreign Mission Sisters of St. Dominic, generally called the Maryknoll Sisters. At the first General Chapter in 1925, Mary Josephine was elected Mother General. 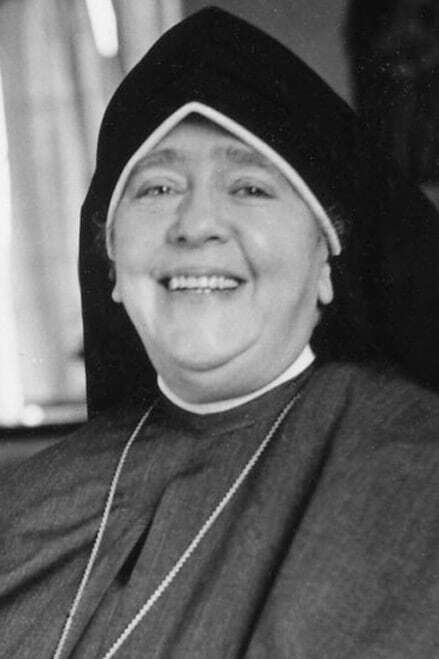 Mother Mary Joseph (her religious name) was re-elected to that office at subsequent General Chapters until her retirement in 1946 at the age of 64. At that time the Congregation numbered 733, and the Sisters were working in the Orient (China, Japan, Korea, the Philippines) and in Latin America (Panama, Bolivia, Nicaragua), as well as with ethnic and racial groups in the United States. The reverence and esteem for Mother Mary Joseph extended far beyond the religious community she founded, as is shown by the honorary degrees which were bestowed on her: Doctor of Laws by Regis College in Boston in 1945 and Trinity College in Washington D.C., in 1949 and Doctor of Letters from her alma mater, Smith College, in 1950. The Maryknoll Sisters became a Pontifical Institute in 1954 and the name of the Congregation was changed to Maryknoll Sisters of St. Dominic. 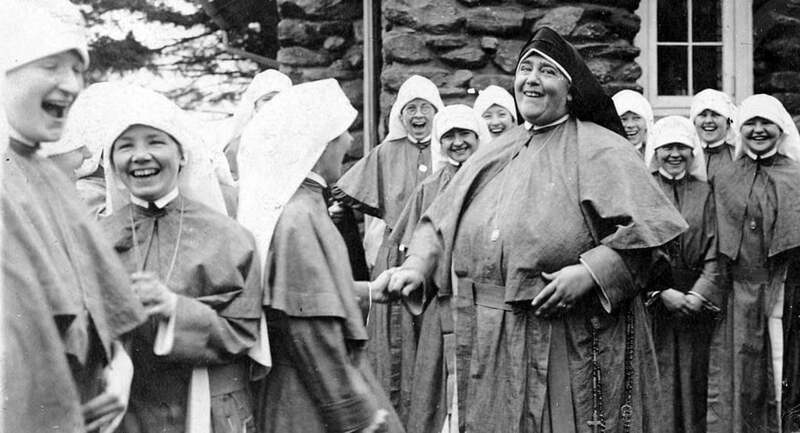 In honor of her life of service and the founding of the first US-based congregation of women religious, Mother Mary Joseph was inducted into the National Women’s Hall of Fame, Seneca Falls, NY, on October 12, 2013. Mother Mary Joseph died on October 9, 1955, at the age of 73.